The Blackwood Community RSL is not only open to Return Servicemen and Women and members but is a family-friendly venue open to the whole community. You don't need to be an RSL member, but should you join, you will receive benefits that include special bar prices and you will receive a warm welcome. Photo courtesy of Blackwood RSL. Recently Luke Sincock, Owner/Manager of Blackwood Butchers became the new licensee of the Gunner's Family Restaurant at the Blackwood Community RSL. Luke and has completely reconstructed the kitchen to provide excellent food and a variety of menu choices at reasonable prices. Luke said the new menus will offer more good reasons for locals to want to support a local venue such as Blackwood Community RSL. "We want to offer more reasons for locals to dine locally rather than go into the city for dining and entertainment". "When diners realise the same type of meats available to customers at Blackwood Meats, whether it be organic lamb which is grass fed, salt-bush fed lamb and free-range pork and chickens, I am sure they will be looking to join us for meals at the Blackwood Community RSL." Many locals will already know Luke from either Blackwood Butchers or as a local lad who grew up in the Blackwood area. Luke went to Blackwood High School and married a local girl, Louise, from high school, who lived locally too. Luke said, "Since 1998, I have worked in the area. 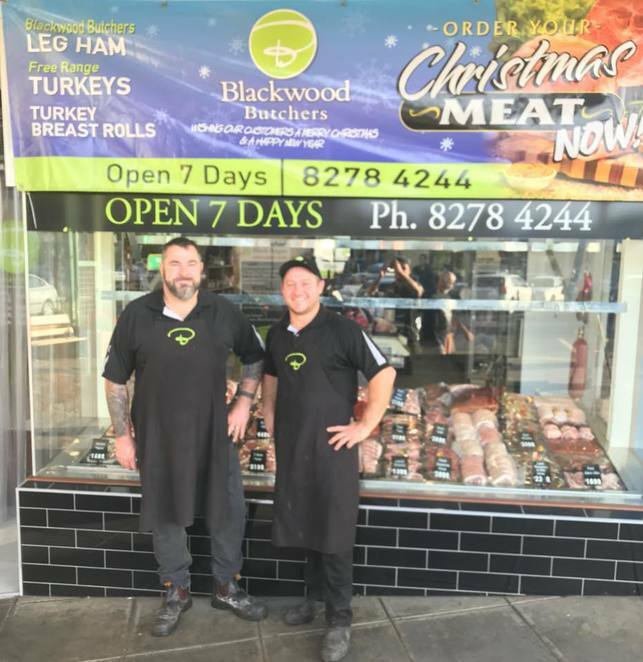 I began as a butcher at Coro Meats and also worked Country Meats and now I am the owner of my own business Blackwood Butchers. It is a very friendly community. I have always had a soft spot for the Blackwood area." Luke is introducing a fresh approach to dining at the Blackwood Community RSL kitchen and restaurant. This family-friendly restaurant will be adding new affordable menus to its existing weekly specials. On different nights of the week, there are special events, such as meat tray raffles on a Wednesday and Friday nights. One of the new changes is Amercan Nights on a Saturday Nights, which should have lots of appeal especially to the younger generation with the new American-style menu. Tuesday Night is Steak Night - 300g aged black Angus rump served with chips and salad or veg and your choice of 5 sauces for $17.90! Thursday Night - Kids Eat Free Maximum 2 kids per table. Includes kids under 10 years and anything on the Kids Menu. Also includes a special dessert just for them! In a corner, a toy area has been established for the youngsters, enabling the parents to relax knowing their children are safe and enjoying themselves within clear view. Friday Night is Pint and Parmy Night - A pint of beer and a beef or chicken Parmy for only $17.90. Once every two months on a Friday night, there is a karaoke night. Visitors and participants are invited to check the RSL Personal Noticeboard, under glass at Woolworths Blackwood for updates and announcements of special functions. On every third Sunday between 12 - 4.00 pm there will be free admittance to live jazz performances. The Trad Jazz group Blackwood Stompers will play lively New Orleans type jazz. Many of you will know them from their popular performances at Wittunga Gardens concerts. Another feature of the Sunday jazz sessions is the open mike for any fellow jazz musicians and singers to join in. Quite often musicians from the Southern Jazz Club can be seen performing. The impromptu Open Mike sessions are open to everyone to join in. On Sunday there will be a full la carte dining menu which includes all the old favourites like Lambs Fry and Bacon, Deep Fried Fish and Garlic Prawns. Hopefully, if there are enough requests from diners, Crumbed Brains will be added. Meals will be served from 12.00 - 2.00 pm. 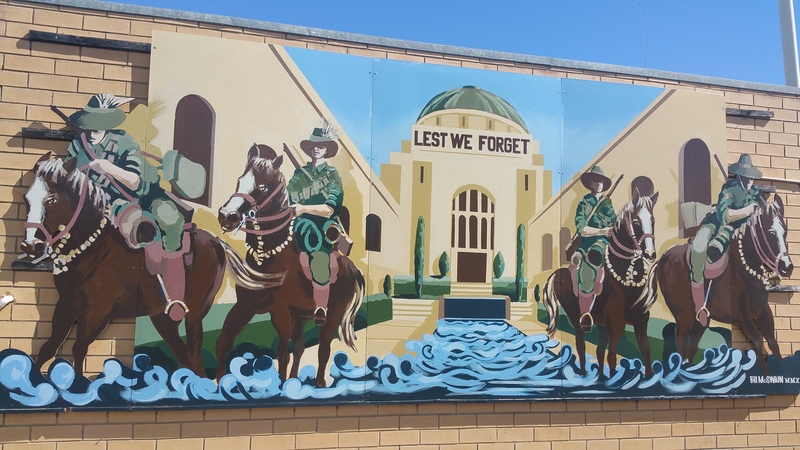 Another important way that shows the Blackwood Community RSL serving the community is their premises being available for meetings for clubs, functions and parties. One community group that utilises the function facilities is The Rotary Club of Blackwood, which has been meeting in the dining area since February this year. So the meetings have a separate private meeting space the dining area is closed off from other diners, so both spaces avoid any disturbances. The Rotary Club of Blackwood meets weekly and occasionally has guest speakers. Gary Dolman, President of Rotary Club of Blackwood said, "We are very happy with the service and the variety of dinner menus provided by the Blackwood RSL. They supply us with an overhead projector, screen and microphone and their staff are always courteous. If people are interested in contacting me regarding Rotary, I can be contacted on Mob 0419 844 224." The Blackwood Community RSL values the importance of caring for its customers. Their staff are highly trained to ensure your dining needs and function requirements are memorable and affordable. Why? 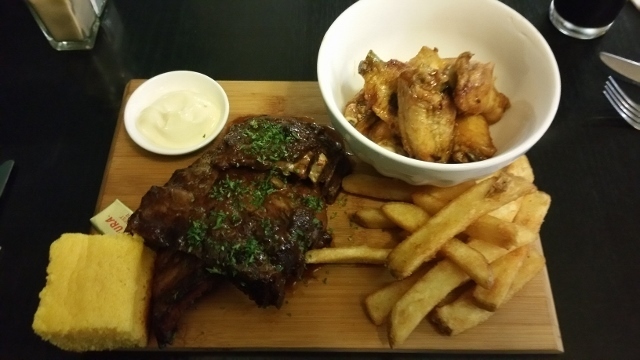 This family friendly restraurant provides delicious meals at affordable menus to its existing weekly specials.